If you’re in the market for a new Fire Tablet, there are a lot of good reasons to consider buying a Kids Edition tablet—even if it’s for your grown up self. While the Fire HD Tablets already offer a lot of bang for the buck, this is emphasized with the Kids Edition tablets, because they offer everything that makes the “regular” editions so good along with a handful of other killer perks. Let’s take a closer look at the details and break this thing down by the dollars. 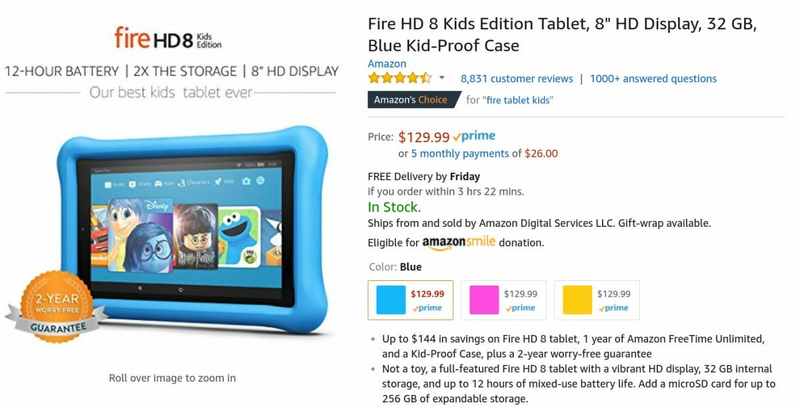 Before we get into the details, however, we need to point out that there are two different sizes for the kids tablet: an eight inch model (Fire HD 8 Kids) and seven inch model (Fire HD 7 Kids). There’s also a Fire HD 10, but it doesn’t come in a Kids Edition variant. For this piece, however, we’re going to focus on the Fire HD 8. It’s the middle ground of the Fire HD range, and it’s the larger of the two Kids Editions. For the most part, however, the same rules and math will still apply—the HD 7 may just be a little more affordable overall. The Fire HD 8 comes with four basic buying options: 16GB and 32GB, and with or without Special Offers. The latter are basically ads that Amazon shows on the lockscreen (and other places) to help offset the costs of the tablet. The Fire HD 8 Kids Edition, however, only comes in one variant: 32GB without Special Offers. Now, for the numbers. The standard HD 8 with Special Offers and only 16GB of storage is $80. That’s a good price for a lot of tablet. But let’s see how it compares when you match the specs. For the Fire HD 8 with 32GB of storage and without Special Offers, you’re looking at $115. By contrast, the Fire HD 8 Kids Edition is $120. That’s a five dollar difference. And for that extra five bills, you get a lot of extra stuff. Because the HD 8 Kids Edition is designed with, well, kids in mind, a lot of its additional features are kid-centric. But that doesn’t mean they all are, and it doesn’t doesn’t mean it’s not also great for a kid. First off, it’s worth mentioning that regardless of what version you buy, it’s the same tablet. The chassis is the same, the screen is the same, the overall look and feel of the device is the exact same—the Kids Edition just ships with a fairly robust foam case to keep it safe. And that in itself is the first benefit you get with the Fire HD Kids: the bumper case. 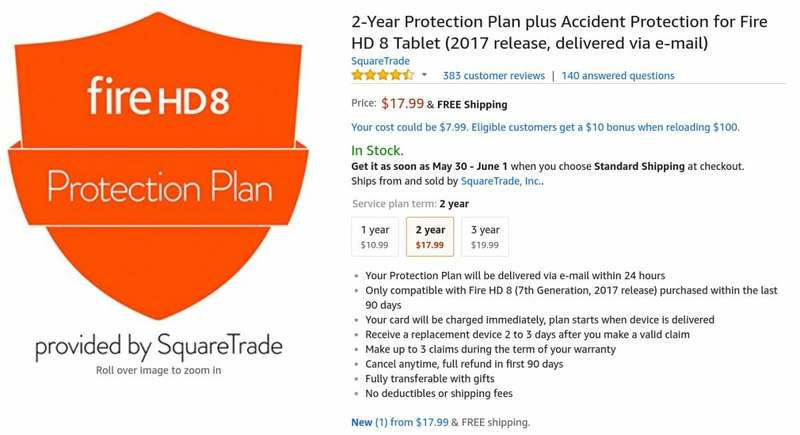 If you were to add that to an existing Fire HD, it would set you back $30. Thirty! Now, we’re not suggesting that you, a respectable adult, carry around a tablet with a kids bumper on it. But it’s a $30 value that only adds $5 worth of cost over the other tablet. If this were the only perk to buying the Kids Edition, it would be worth it. Further, if you’re just using the tablet at home to watch Netflix in bed and goof around, the included foam bumper case is a perfect case to protect your tablet when you nod off and drop it during a Netflix bender. But the truth is, that’s just the start of it. 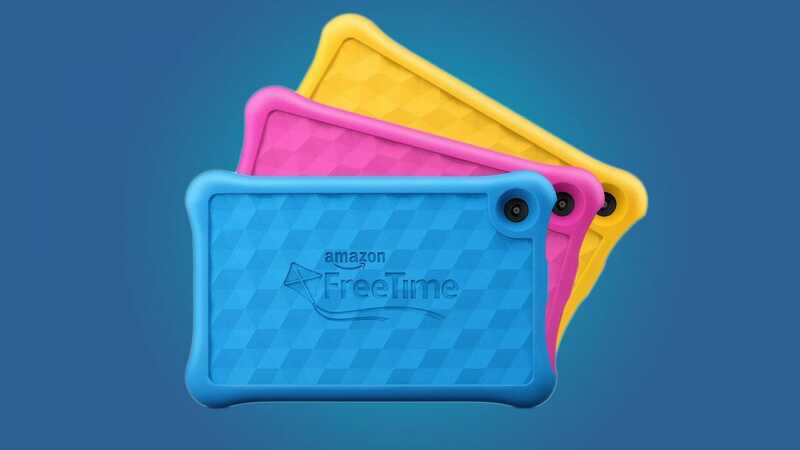 Fire HD Kids Edition tablets also come with a year of FreeTime Unlimited, which is basically a specifically curated catalog of educational books, videos, games, and the like. Normally you’d pay $83 for Prime members and $120 for non-Prime subscribers. So that’s a huge savings right there—of course, it really only benefits if you plan on sharing your tablet with a little one. 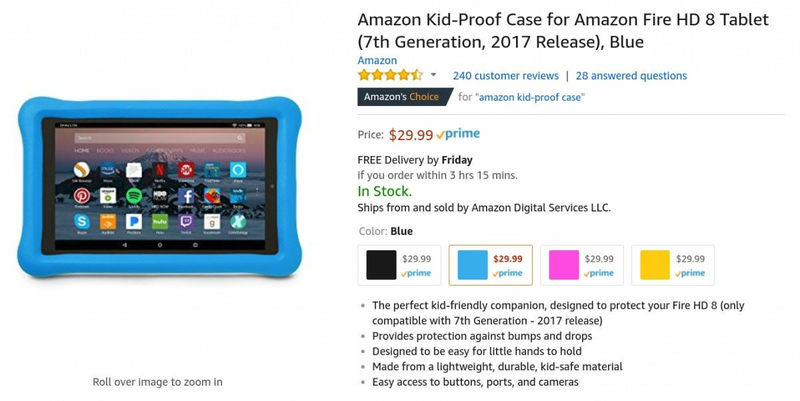 There’s really one area where the Fire HD Kids is the best deal even if you have no intention of sharing with a child: the warranty. All Fire HD Kids Edition tablets come with a two-year, no questions asked replacement policy. What that really means is that if the tablet gets broken, Amazon will hook you up with a new one—no questions asked. You break it, they replace it. If you were to try to add a warranty like this after-the-fact, you’d be looking at $18. 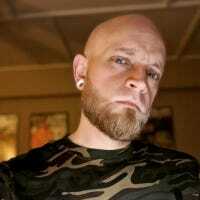 That takes the tablet from $114 to $132 if you just add the warranty. That alone makes the Fire HD Kids Edition a better buy. So, just for fun, let’s add all this together. Let’s say you purchase the 32GB Fire HD without Special Offers—that’s $115. Then if you add the bumper case, that’s another $30. Factor in a year of FreeTime Unlimited for the Prime member price of $83 and the SquareTrade 2-year Warranty for $18, and you’re looking at a grand total of…$246. With the Fire HD Kids Edition, you get all that for $120. That’s less than half the price! If you’re looking for a to share with a little one, this is without question the way to go. But honestly, even if you’re just looking to buy for yourself—the Kids Edition still comes out on top thanks to that two-year replacement policy.